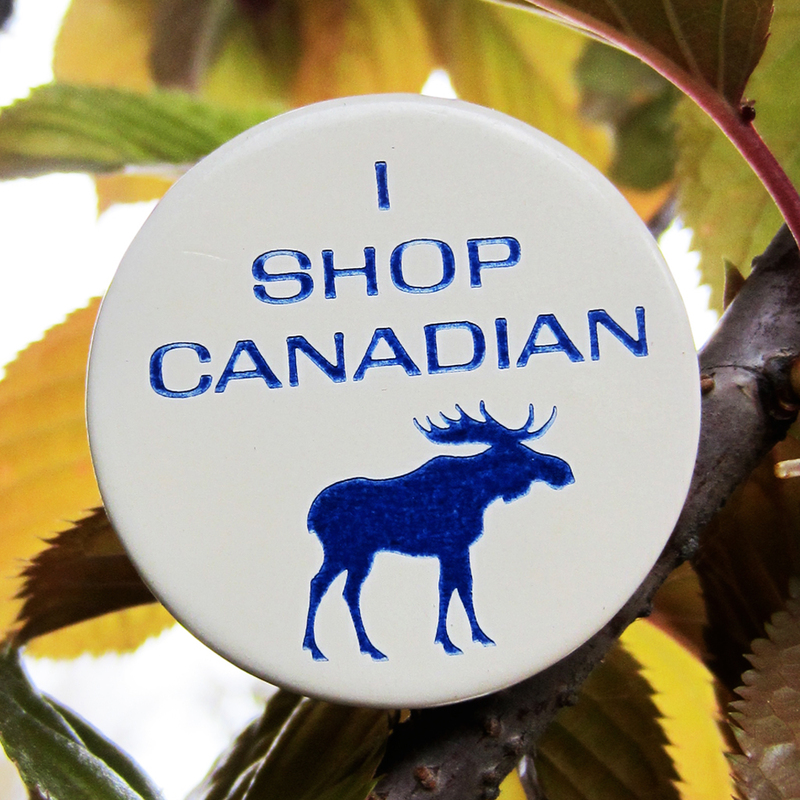 It brightens our day when our new and repeat Canadian button customers recognize the importance of shopping Canadian and supporting Made in Canada. So when we received this late 1970’s Vintage 1.25″ pin back button in the mail from a satisfied customer of Six Cent Press you can only imagine how excited we were and just had to share. Thanks to Fred & Lena of Fort McMurray Alberta, we have decided to recreate this pin back button that they where kind enough to mail us and include one in all custom pinback button orders starting May 1st. Are you thinking of starting your own home grown campaign to bring attention to a personal cause or concern? The 1.25″ pin back button is a great size that will continue to be worn because of the sweet spot button size, the affordability and because of the Six Cent Press guarantee, you can bet your buttons will be working hard for decades to come remaining intact.